At a recent forum, scholars stressed the importance of science and technology in the development of cultural industries and called for the integration of technology into culture. The Summit Forum on Cultural and Creative Industries, and the Shift of Driving Forces was held on April 21 at Shandong Normal University. Attendees held in-depth discussions on such topics as new driving forces and cultural industries, the integration of culture and technology, the development of cultural and creative industries and rural revitalization. Cultural products have a long history, but cultural industries are a system that has taken shape in modern times since the Industrial Revolution. Wang Yuji, head of the Institute for Cultural Industries at Shandong University, said that new driving forces brought by the Industrial Revolution spawned cultural industries in the modern sense, while inventions like the steam engine and electric generation made it possible to mass produce and popularize cultural products. The development of new driving forces and technologies also forced cultural industries to update and adjust themselves according to the times, Wang said. After years of rapid growth, cultural industries in China continue to expand as opportunities come along. Ouyang Youquan, director of the Research Center of Chinese Cultural Industrial Brand at Central South University in Changsha, Hunan Province, noted that cultural industries are turning from market selection to content orientation, from resource dependence to technology reliance, and from scale expansion to brand building. Serving the need for a better life has become the aim of cultural industries, said Xie Xuefang, deputy director of the Institute for Media Industry at Tongji University. Life in the internet era is richer and culture is enjoyed more equally, Xie said, adding that cultural industries should size up the new situation and cope with it timely. Science and technology are crucial engines advancing cultural industries. Wang Zhidong, vice-president of the Shandong Academy of Social Sciences, said that cultural industries will be transformed and upgraded continuously with the assistance of modern science and technology. Pinpointing digital technologies as one of the most important technological innovations in human history and a new force driving contemporary social development, Wang Yuji said it will definitely foster new businesses and systems in cultural industries. The impact of digital technologies on cultural industries is fundamental, since the technologies have empowered related cultural industries to break the restrictions of time, space and form, creating unimaginably huge fields, Wang Yuji said. Digital cultural industries constitute a new growth point for the contemporary cultural sector, he added. Nonetheless, Wang Yuji called for vigilance against the negative influences of technology on cultural industries. The history of development shows that new driving forces will exert dual impacts on culture. 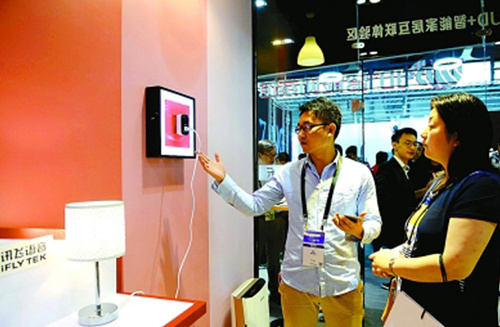 While creating new businesses for cultural industries, digital technologies will also bring negative effects, such as excessive entertainment, Wang Yuji said. Strong capacities in scientific and technological innovation are a vital aspect of cultural confidence. Xie said that in the digital age, cultural industries should take the “Internet Plus” model as a starting point to expedite the transformation and upgrading of traditional cultural industries. They should actively embrace new technologies like mobile internet, big data, internet of things and artificial intelligence to realize the integrated development of “culture plus science and technology,” Xie said.